Have you always wanted to learn German? Do you have a partner who would like to learn German? Come to the German Institute for the Southwest – we teach German to adults in Houston – The Woodlands and in – Rosenberg – let us hear from you. Classes for adults start on March 18, 2017. Do you live in Rosenberg – Sugar Land – Katy or in the surrounding areas? 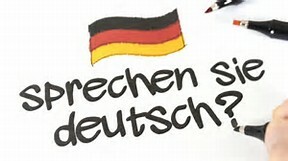 We have brand new classes – for adult instruction, please register here: http://germansouthwest.org/language-school/adult-course-registration/. Early Bird Discount is in effect now!!! If you have any questions,please write to angelika@germansouthwest.org or call 713-822-4257.